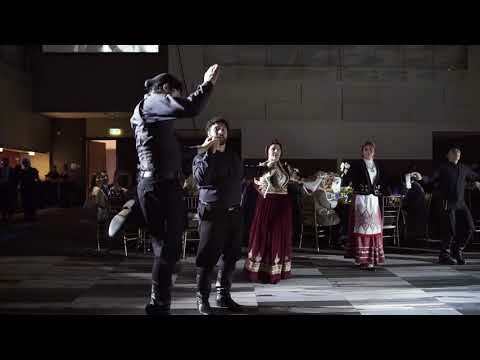 For over 23 years, the Hellenic Heritage Foundation has been instrumental in preserving and promoting Hellenic heritage, language and culture in Canada. Every year, we host our signature fundraising Gala to celebrate our achievements, to raise funds for the Foundation's charitable goals, as well as to raise awareness for our causes and initiatives. We invite you to consider becoming one of our distinguished Corporate or family sponsors. Net proceeds from the event will be directed towards a number of important initiatives supporting Greek Language learning at the primary levels. Last year alone the HHF, was proud to support over 3,000 students attending Greek language schools across Canada. In addition, we were also pleased to offer both an in-person and online Effective Teacher Training Course free-of-charge to all Greek Language Teachers across the country, allowing them to upgrade their skills and provide them with tools to effectively engage the next generation of Greek Canadians. The Hellenic Heritage Foundation, est. 1996, is a registered charitable organization dedicated to the preservation, promotion and advancement of Hellenic language, education, culture and heritage in Canada.